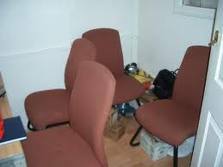 Do You Need An Office Clearance in Epping CM16? Looking for office clearance Epping? Are you tired of tripping over unsightly cables and boxes scattered across your office? Think it’s time to organise a clear out? ‘Away with It’ are happy to assist with all your office clearance in Epping CM16 needs. With friendly, professional staff who are always on hand to get rid of your waste, there is no need to do this job yourself. We can offer a same day service in many cases, assisting you with your office clearance in Epping CM16 need, exactly when you need it most. 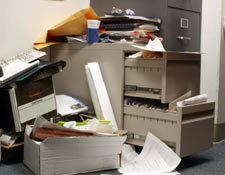 Whether you want to clear a full office, or just get rid of some bits and pieces, we are happy to oblige. We have made the process for office clearance in Epping CM16 as simple as possible. If you would like to find out more about what our customers are saying about our services, take a look at our client reviews. Now is the time to make that move from a cluttered office to a clear office. You’ll be surprised at how much better the place feels after a good clear out! You can find out more about our office clearance in Epping CM16 services by giving us a call on 020 8540 7390 or 07957 123 019. If you don’t fancy lifting up the phone, you can also email us and we’ll get back to you quickly. We look forward to helping you with all your office clearance needs in the near future!